Disney’s Hollywood Studios is getting set for its 30th anniversary. Universal Studios is introducing new churro flavors. Meet the Disney Villains after-hours at Walt Disney World this summer. Hard as it may be to believe, Disney’s Hollywood Studios is mere weeks away from celebrating its 30th anniversary. The park, first opened on May 1, 1989, as Disney/MGM Studios, is ramping up for the 30th anniversary celebration in a number of ways. First, they’re prepping the debut of an all-new nighttime light show, titled ‘Wonderful World of Animation”, to play above the Grauman’s Chinese Theatre facade, if the concept art above is any hint. 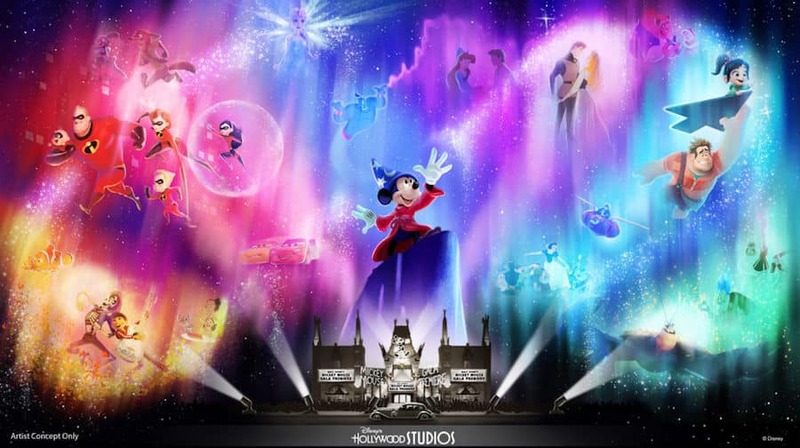 “Wonderful World of Animation” will take guests through more than 90 years of animation, and looks to be a World of Color-esque spectacular to enjoy this summer. But that’s not all for Disney’s Hollywood Studios today. No, let’s shift over to the very important topic of food. Specifically, DHS food at the ABC Commissary. Themed to highlight the latest and (hopefully, but you never know) greatest shows on ABC, this restaurant has always been a go-to fast-food spot for guests. But soon, the location, which is now fast-casual, will introduce some new flourishes, from updated designs, seating, and menu items to reservations. The restaurant isn’t becoming a table-service option, but you can now ensure guaranteed seating when you place your dinner order. It’s been a long time since I went to the ABC Commissary – the menu items highlighted in that article, like a pot roast or barbecue ribs, look a lot more appetizing than what they once served. That’s a change I can get behind. If there’s one thing we can all agree on, it’s that churros are wonderful. (I don’t know that I want to know if you disagree with that.) At Disneyland, churros are a classic snacking staple, but recently, they broadened their horizons with uniquely flavored churros. Universal Studios Hollywood is now following suit with their own twist on churros. The new flavors range from strawberry shortcake to dark chocolate to Fruity Pebbles. Having tried some of the Disneyland flavored churros, I do hope the Universal Studios ones are more than just regular churros with flavored powder. But either way, trying a churro, flavored or not, is always a good thing. Let’s keep the food theme going as we look towards the end of the year. Even though we haven’t officially entered the summer season, Walt Disney World already has fall on their mind. If you’re a WDW nut, you know what fall means: the Food and Wine Festival at Epcot. And this year, it’s going to be supersized. The dates announced, August 29 to November 23, ensure that this will be the longest Food and Wine Festival to date. As of yet, no other details have been announced, but this at least suggests that you might be able to get a Thanksgiving-style version of the food and wine offered at Epcot during the culinary fest. Who’s ready for the feast before the feast? I know I am. But let’s move back to the summer for our last story this week, as we stay in Walt Disney World. In case you’re not already familiar, the Disney After Hours event has become quite the to-do, wherein guests get to experience 20 or so attractions with far more minimal waits, due to the event being hard-ticketed. (Meaning, you have to pay extra, sadly.) 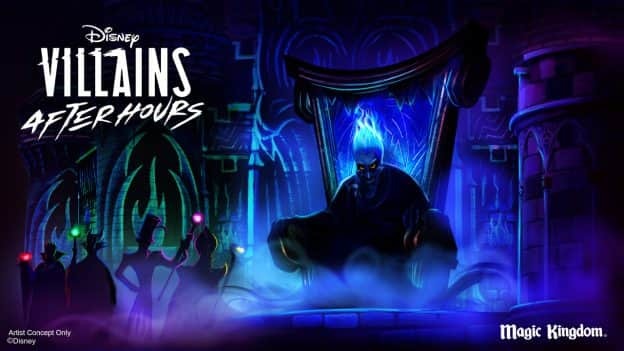 From June 6 to August 8, Disney After Hours will get a little scary, with the introduction of some Disney Villains to the mix. There’s going to be special food and beverage items, enhancements at rides like Pirates of the Caribbean, and a special nighttime show helmed by Hades and Meg from Hercules. One pain point: the villains won’t be doing character greetings. Buyer beware!